Letterpress is our favourite printing technique as its printing outcomes are one of a kind. Tactile, exclusive, with a certain feel. Letterpress is a craft as it involves using a skill, passion and is done by hand. 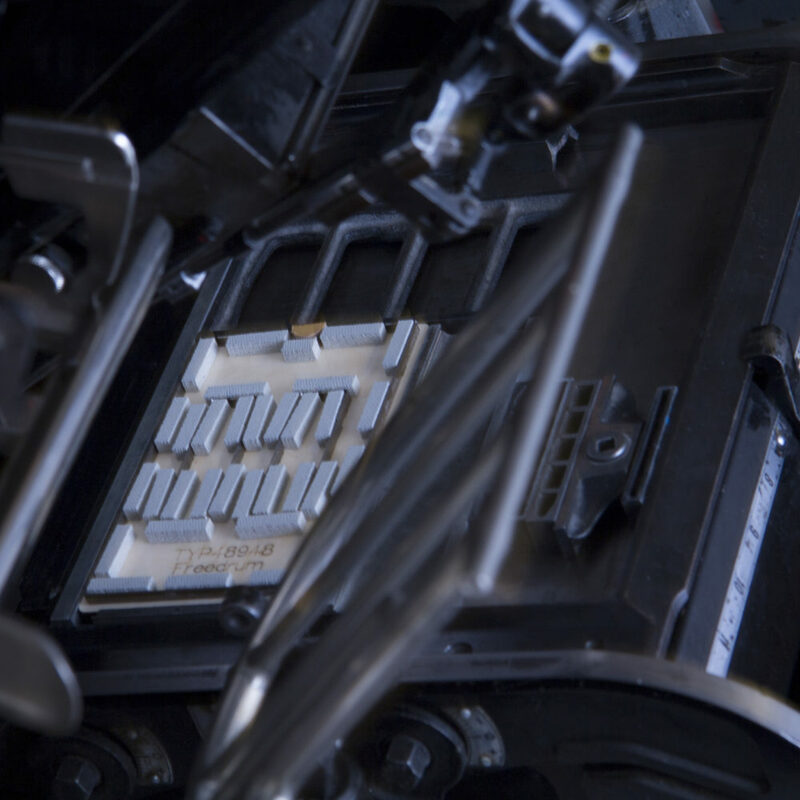 Letterpress is technically seen a technique of relief printing. In the printing process an inked and raised surface is pressed against single sheets of paper by the printing press. 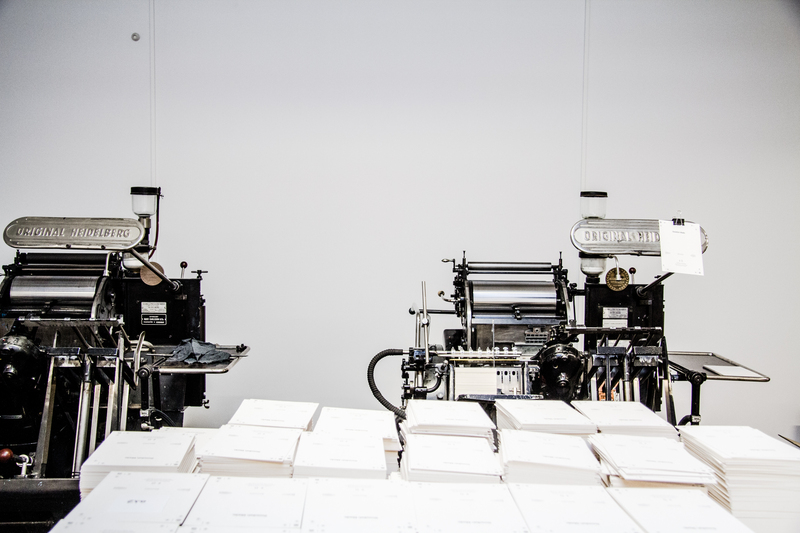 Our two printing presses are original Heidelberg Windmill presses from the 1950s and 1960s and they still do a great job. These presses, and letterpress as a printing technique, were very common and used to print books and newspapers in the former days. Movable types, made of metal or wood were used to set texts. In the 1980s newer printing techniques such as offset arose and letterpress printing became rare and almost disappeared. 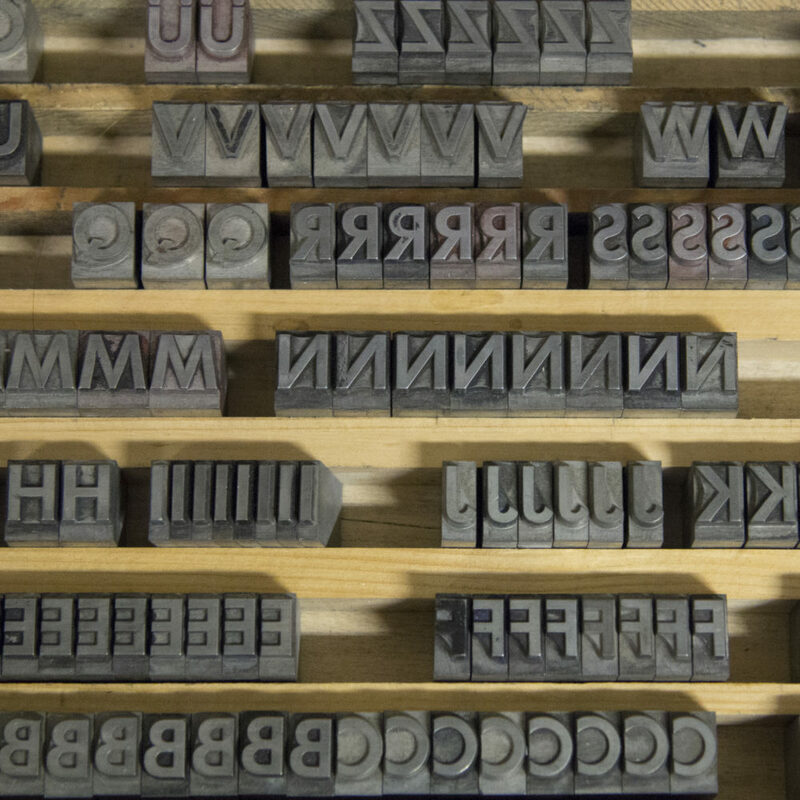 However, Letterpress printing is back, thanks to demand for high quality and tactile printed goods. Today letterpress is mainly being used for fine art, stationery, coasters, invitations, greeting cards and other printed goods that request a certain feel. “The medium is the message” really applies to Letterpress printed goods. While letterpress was mainly used with wooden or metal types in former days, we today also have the possibility to print with photopolymer plates. This allows us to combine the best of two worlds, a combination of traditional printing techniques and contemporary design with the use of digital layout tools. We at Typotopia love to experiment and to combine printing with our old type casts as well with modern photopolymer plates. Our Heidelberg Windmill presses are multifunctional, they not only print but also emboss, blind-emboss and also die-cut. We use die-cutting for the production of e.g. coasters, custom-made packaging inserts or other printing goods that should have a shape that is not rectangular. We print with Pantone PMS colors, we mix any Pantone colour by hand. 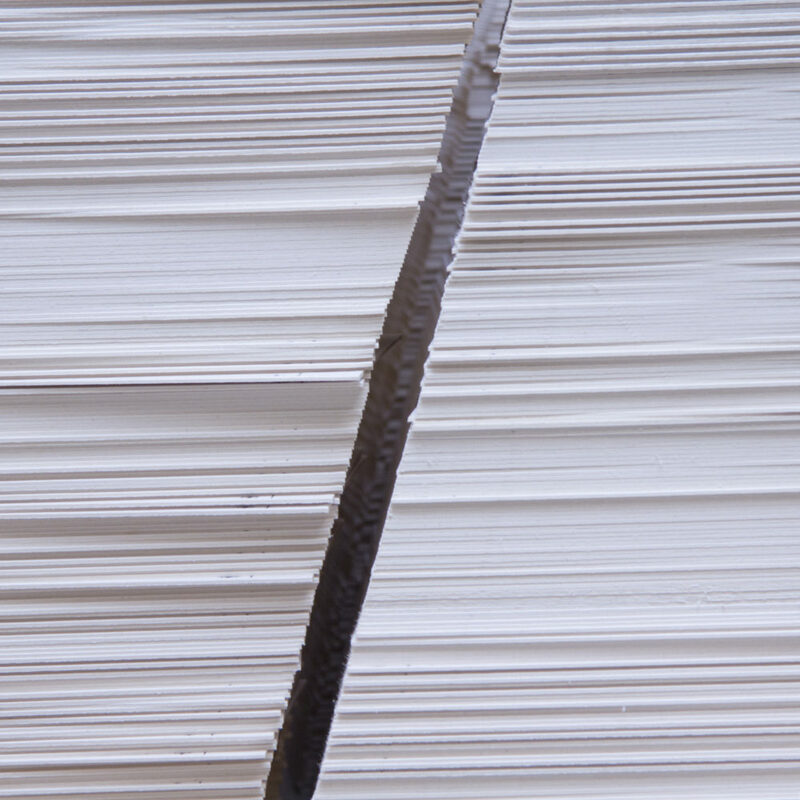 We have a vast range of fine and high quality paper in our sortiment. The choice is yours, we have paper made of wood fibres or cotton fibres, thin or thick paper (even as high as 910 gsm), various colors and structures.